Silver Plated Base Metal With Enamel, Gift Set Includes A Pair Of Cufflinks And One Tie Bar. Silver Plated Base Metal With Enamel. 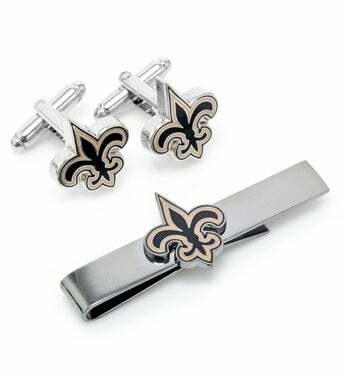 Gift Set Includes A Pair Of Cufflinks And One Tie Bar.